Many of you have asked about the Peaceful Paws we use on Widget. 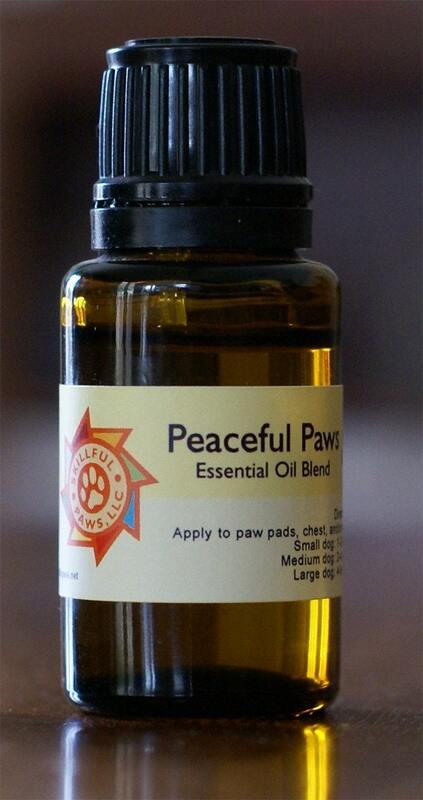 It’s a calming blend of essential oils made by Skillful Paws, located here in Austin. You can buy it online now at the Skillful Paws Etsy shop! Skillful Paws is owned by Christina Hardinger. She is certified in animal acupressure and massage and works with both dogs and horses. If you are in the Austin area I highly recommend her!